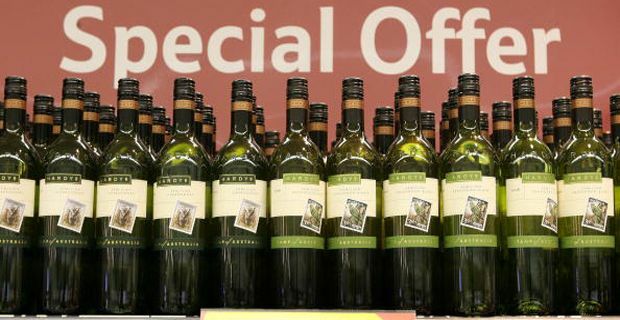 David Cameron had initially favoured plans to impose a minimum unit price on alcohol in a bid to diminish the culture of binge drinking and supermarkets selling alcohol almost as loss leaders. And then suddenly, the plans were dropped due to a supposed lack of "concrete evidence" that it would reduce harmful drinking. Except that we now know that lobbyists from the drinks industry were granted very significant access to officials and politicians during this period, and government policy miraculously transformed to suit their agenda. In an open letter, 21 senior doctors and campaigners, including Sir Ian Gilmore, special adviser on alcohol for the Royal College of Physicians, raised fears that "big business is trumping public health concerns in Westminster". "The drinks industry continues to have high-level access to government ministers and officials while no forum currently exists for the public health community to put forward its case in an environment free from vested interests." "With deaths from liver disease rapidly rising and teenagers now presenting with advanced liver failure, the government has a duty to realise its commitment to introduce minimum pricing." Andy Burnham, the shadow health secretary, said that the government had been “found out cosying up to vested interests and standing up for the wrong people". "It has become a hallmark of his government," he said. "Public health policy is in utter disarray. After the tobacco industry last year, these revelations raise yet more concerns about the influence of big business on this government's policies." A spokesman for the Department of Health was outraged by the apparent attempt to "insinuate routine meetings between departmental officials and industry representatives amounted to an improper relationship with the drinks industry.